After a lengthy (but productive!) silence we are very pleased to announce the publication of our book Cosmopolitan Ambassadors: International exhibitions, cultural diplomacy and the polycentral museum by Vernon Press. This book, which is the work of Leticia Pérez and myself, is based on a 5-year study of the exhibition exchange between New Zealand and Mexico. Our study raised some important questions that we felt were not adequately addressed in existing publications such as: How are museums working internationally through exhibitions? What motivates this work? What are the benefits and challenges? What factors contribute to success? What impact does this work have for audiences and other stakeholders? What contributions are they making to cultural diplomacy, intercultural dialogue and understanding? In Cosmopolitan Ambassadors we consider the current state of knowledge about international exhibitions and then propose an interdisciplinary analytical framework encompassing museum studies, visitor studies, cultural diplomacy and international cultural relations, cosmopolitanism and intercultural studies. This is followed by a comprehensive empirical analysis of the exhibition exchange which involved two exhibitions that crossed five countries and three continents, connecting six high profile cultural institutions and spanning almost a decade from initial conception to completion (see more in The Project). A detailed comparison of both the intercultural production of international exhibitions by museum partnerships and by the interpretive acts and meaning-making of visitors, reveals the many complexities, challenges, tensions and rewards of international exhibitions and their intersection with cultural diplomacy. Key themes include the realities of international collaboration, its purposes, processes and challenges; the politics of cultural (self-) representation and Indigenous museology; implications for exhibition design, interpretation, and marketing; intercultural competency and museum practice; audience reception and meaning-making; cultural diplomacy in practice and perceptions of its value. On the basis of this first-ever empirically-grounded, theoretical analysis of international exhibitions we propose a new model of museums as polycentral: as places that might produce a kaleidoscopic vision of multiple centres and help to dissolve cultural boundaries by encouraging dialogue, negotiation and the search for intercultural understandings. Guidelines for practice include recommendations for successful international museum partnerships, exhibition development and maximizing the potential of museum diplomacy. We are excited to now be able to share our work more widely with colleagues, professionals, students and researchers, and look forward to your feedback. Our heartfelt thanks to all the many people who contributed to this work in various ways. Next month we will be presenting at the Association of Critical History Studies 2016 Conference “What does heritage change” to be held by Canada Research Chair in Urban Heritage of UQAM’s School of Management, in collaboration with Concordia University and the Center for Oral History and Digital Storytelling. “Reflecting on the Mobile Contact Zone: Cultural Diplomacy, Touring Exhibitions and Intercultural Heritage Experiences” is taking place on Monday 6 June. For the first time the group of researchers that has been exploring this topic with regard to the two specific case studies will be together to present and discuss our cases, methods and findings. This session explores international touring exhibitions as mobile “contact zones” which undergo processes of transformation and reconstruction as they traverse contested museological, cultural and political terrains. This approach highlights their nature as dynamic sites of encounter, performance and interpretation. We also examine how the mobile contact zone is experienced by the actors involved, both heritage professionals and visitors. Responding to the main conference theme, an overall question that the session addresses is: what do international touring exhibitions, and the intercultural heritage experiences they facilitate, change? Do they help in developing intercultural understanding, facilitating dialogue and building bridges between cultures? 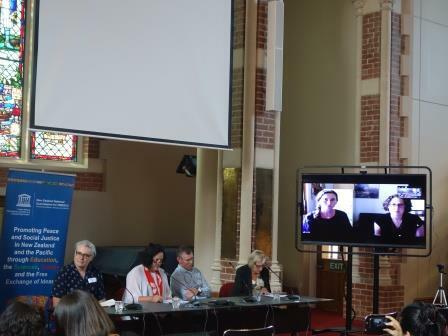 The presentation introduced by Lee Davidson (Victoria University of Wellington, New Zealand) will set the context for the exhibition projects our cases are based on as well as an overview of the research projects. In the first part of the session, the case study is the exhibition E Tū Ake: Standing Strong. 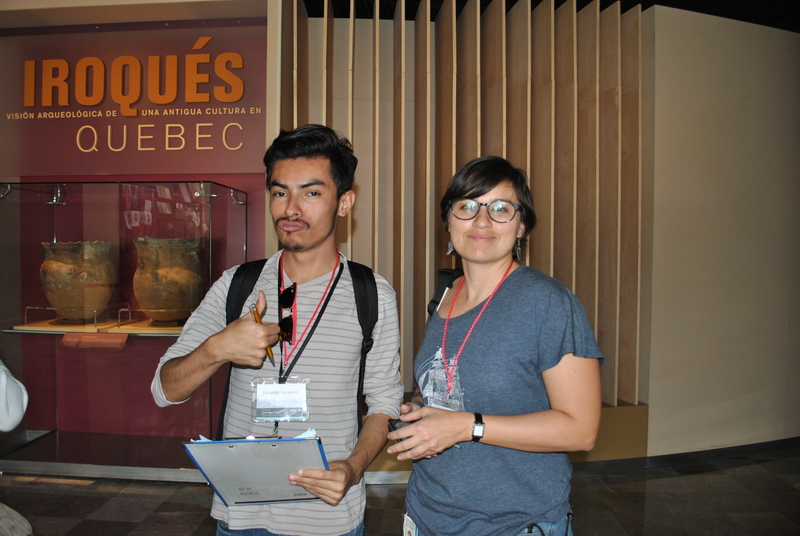 Lee and Gaëlle Crenn (Université de Lorraine, Quebec) will be presenting: Museum Practices, Indigenous Politics and Cultural Identities on Tour: A Comparative Study of a Māori Exhibition in France, Mexico and Canada. Following this topic, Mélanie Roustan’s (Muséum National d’Histoire Naturelle, Francia) talk will be Experiencing a Maori Touring Exhibition in Paris and Québec City: Heritage as Window on the Other and Mirror on Oneself. The second part of the session deals with the Aztecs exhibition. Leticia Pérez (Escuela Nacional de Conservación, México) and Lee Davidson will present: Intercultural Practices and Collaboration in an International Touring Exhibition: Professional Perspectives on Aztecs from New Zealand, Australia and Mexico followed by Intercultural Meaning-Making: Visitor Encounters with Aztecs in Oceania. The whole session seeks to present our interest in building a theoretical understanding of international touring exhibitions. Do we still need original collections in international touring exhibitions? Last month I was invited to impart a conference for the Spanish Friends of Archaeology Association in Madrid, Spain about international museum exhibitions. The Association is a powerful group of people that have been meeting each week during almost 50 years to talk about archaeology and museum related topics. Most of the members are retired and they really enjoy attending the conferences, going on field trips and museum visits. My idea for this conference was sharing the behind-the-scenes and the making of an international exhibition, using the Mexican case as an example, telling them how complex and long term is the work to develop this kind of project, the challenges and the rewards of having been part of the team that organized exhibitions to show Mexican history abroad. When people visit international exhibitions it is difficult for them to imagine the hard work, long hours invested and all the people involved in deciding the topic, adjusting the focus, selecting the objects and putting together everything that is needed to finally open the exhibition. It also requires museums to take difficult decisions: should they lend important cultural artworks for long term periods? Is it worth investing time and money to move collections far away and putting them at certain risk? This was precisely the topic that raised debate in the questions and answers time of the conference! Part of the audience felt that there is no need to spend large amounts of money on insurance, special crating and object couriering, putting collections at the risk of damage or even of loss. Also raising the use of non-renewable energy -aircraft fuel- and contributing to pollution. People in favour of this view stated that this is more relevant in a world that can have exact copies of the original or where we can see more details and be as near as we want with mega pixel images as the ones the Google Cultural Institute has promote through the Art Project initiative. For others in the auditorium there is no doubt that original objects play a central role in the museum setting. Why should I go to a museum if they offer me replicas? They argued in favour of the so called “aura” – something coming from the originals itself that touches us and has no replacement with non-original objects. You can guess this was not an easy question to solve! It raised issues about museum ethics to inform visitors when they are displaying replicas, the difference between originals and copies, the possibility of whether a uninformed visitor could tell if an object is original or not, the possibilities of interacting or not with artworks depending on each case. Our research seeks to shed light on this topic. Nowadays there is a lot of movement in the area of international exhibition touring, just take a look at 2015 Visitor figures made by The Art Newspaper, each year millions of visitors attend museums, a lot are attracted by touring exhibitions. What is the value of this practice? Museum literature and studies in the diplomatic area have emphasized their role in promoting understanding between the countries and people from different contexts? Little has been researched in the field. The exhibition promoted by the museums put their audiences close to other world cultures, in this case an antique one. 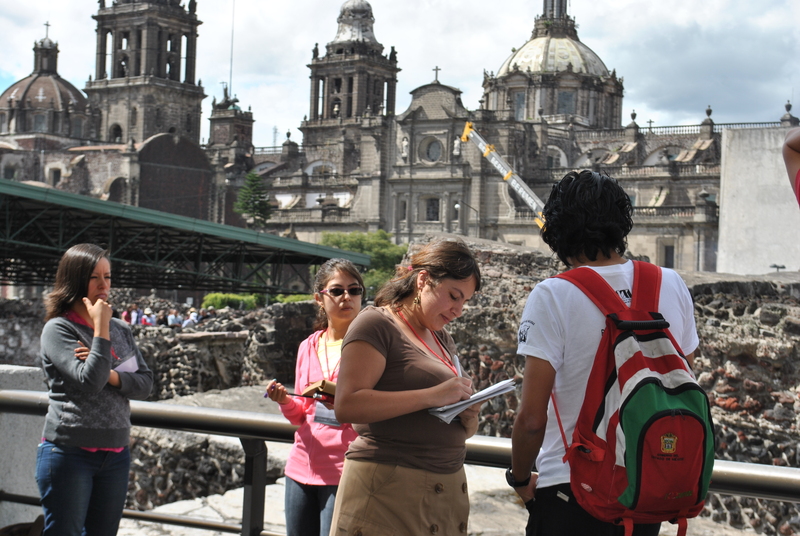 There are connections in what the visitors actually can perceive about Aztecs and also about contemporary Mexican culture. In the relations it promoted locally with specific communities. For instance the impact of good government relations and business possibilities. Whether this can be done with or without original objects is something we haven’t arrived at a conclusion about yet. 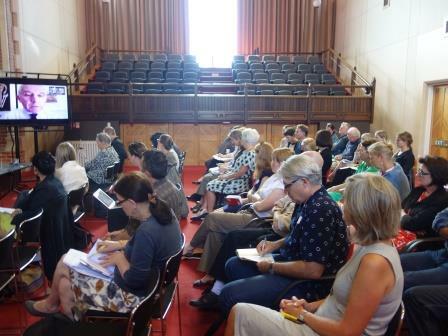 Many thanks to everyone who participated in last month’s Symposium on International museum exhibitions. 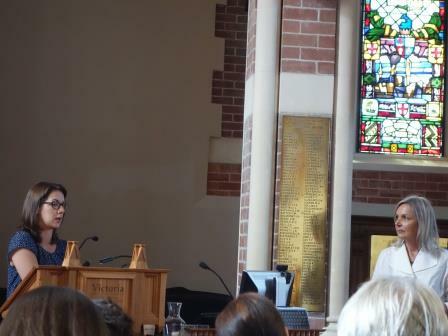 In this post Leticia Pérez reflects on her experiences travelling from Mexico City to Wellington to help run the symposium. “Coming back to Wellington was a very interesting experience. I visited first in 2013 when I worked at Dirección de Exposiciones, an area at INAH that manages all international exhibitions organized by the Institute. At that time I was working in the team to put together Aztecs: Conquest and Glory in New Zealand and Australia. Three years later here I am at the Symposium on International museum exhibitions as a professor from the Museum Studies program at ENCRyM presenting advances in research on this interesting topic, some of which were recently published in Intervención. Revista Internacional de Conservación, Restauración y Museología. So far, my colleague Lee Davidson and I have been working for almost two years, collecting data from staff and visitor interviews, analyzing them and finding very interesting things related with intercultural dialogue, museum practices, and intercultural competencies as well as international exhibitions as a means of cultural diplomacy. It has been very interesting to meet Dr. Simon Mark and to get to know more about his research on cultural diplomacy. The research topic for my master’s degree in museum studies was an analysis of twelve years of the cultural policy on international exhibition activities at INAH, covering a period from 1988-2006 (dissertation available here in Spanish) during which INAH sent around 68 pre-hispanic exhibitions to 148 venues all around the world. This work has been carried out mainly in co-operation with the Foreign Affairs Ministry and its diplomatic representatives in different countries, as a way to represent Mexico abroad and promote the country. I found Dr. Mark’s comments very relevant with regard to the possible motivations for governments to be involved in cultural diplomacy. At the same time, comments by Michael Houlihan, former CEO of Te Papa, gave me an interesting framing to think about three aspects related to exhibitions and cultural diplomacy: how a country thinks about itself; how it wants to be portrayed; and how others perceive it. To explore each of these three aspects in relation to Mexican cultural diplomacy and its international exhibitions would be very interesting research questions indeed. Our own study makes some contributions to answering the second and the third questions raised by Houlihan. Preparing for this symposium was also a challenge. Lee and I worked deeply on a long-distance basis to put together all the data. Some interviews were collected by her, some by myself and others by our respective masters students Alice Meads and Rosa Elba Camacho. It was very nice to get to know Alice and hear from her directly the results she presented in her dissertation (download pdf). Now we are waiting impatiently for the completion of Rosa Elba’s work. I really like the idea of taking students on board and broadening our research capacity with this collaboration. We also worked on building a shared coding system for interview analysis, taking into account that we were searching for comments and meanings in two different languages. Two more students, Edith Quiñones and Greta Morales, from Universidad Nacional Autónoma de México have joined us to help with translations. We want to have all material available in both English and Spanish. I very much enjoyed meeting friends and colleagues again. Part of my session pointed out the relevance of communication and establishing good connections, also about the complexities working in different institutional and cultural contexts, something I experienced first-hand during my former job as Sub-director of International Exhibitions where I project managed and coordinated several projects. That’s why I found so nice the comforting feeling of being made very welcome by the Te Papa staff that I worked with. Many thanks to Liz Hay, Mark Kent, Robert Clendon, Moana Parata, Pat Stodart, Lynette Townsend, Raewyn Smith-Kapa; and to Jeff Fox. Also for those colleagues in Melbourne that I had the chance to interview: Patrick Greene and Robin Hirst. Of course to my Mexican colleagues: Raúl Barrera, Erika Gómez, Fernando Carrizosa, Carlos González, Paola Albert, María Barajas, Martha Carmona, Lourdes Gallardo, Martín Antonio Mondragón. I also thank Córdova Plaza, México, for their support. 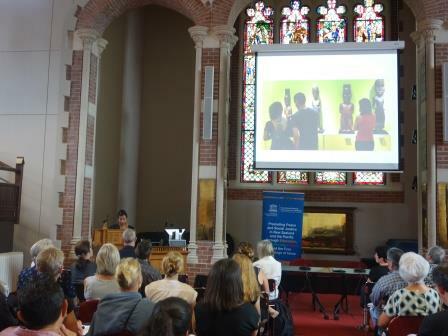 A one-day symposium on International museum exhibitions and intercultural dialogue was held at Victoria University of Wellington, NZ on 2 February 2016. It was attended by over 50 people including current and former staff from the Museum of NZ Te Papa Tongarewa (Te Papa), VUW staff and students, representatives from the Ministry for Culture and Heritage, former NZ diplomats and current Ministry for Foreign Affairs and Trade personnel, Museums Aotearoa, and others from museums throughout New Zealand and Australia. 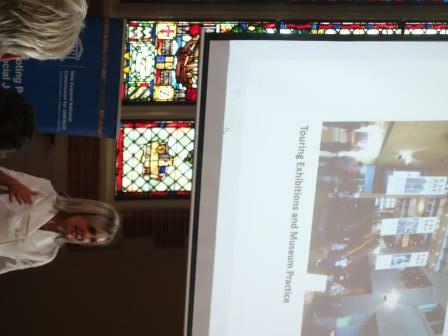 Presentations and panel discussions focused on the links between museums, exhibition exchange, cultural diplomacy and intercultural dialogue. 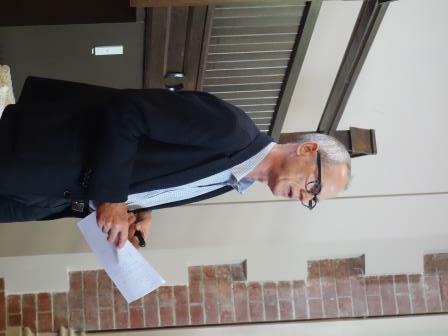 Dr Lee Davidson, Senior Lecturer in Museum & Heritage Studies at Victoria University of Wellington. Since 2011 she has been involved in two interconnected transnational research projects on international touring exhibitions. 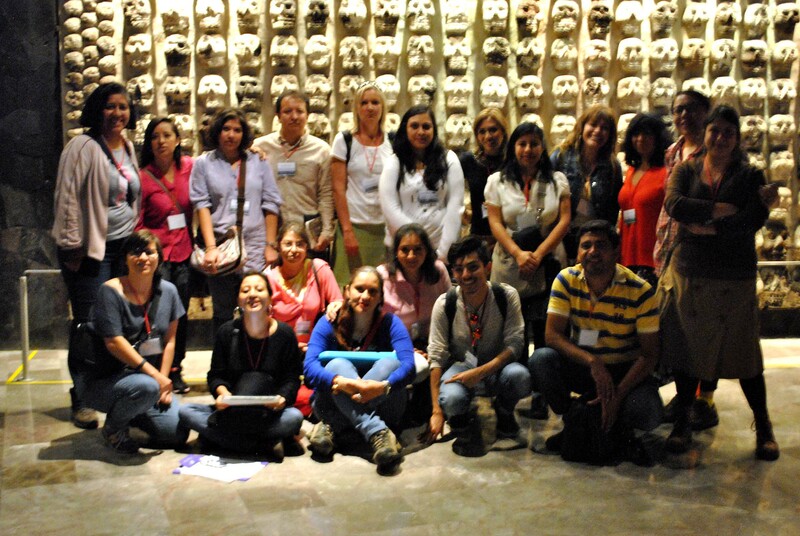 Leticia Pérez, professor and Coordinator of the Post Graduate Studies Program in Museology at ENCRyM, INAH, in México. 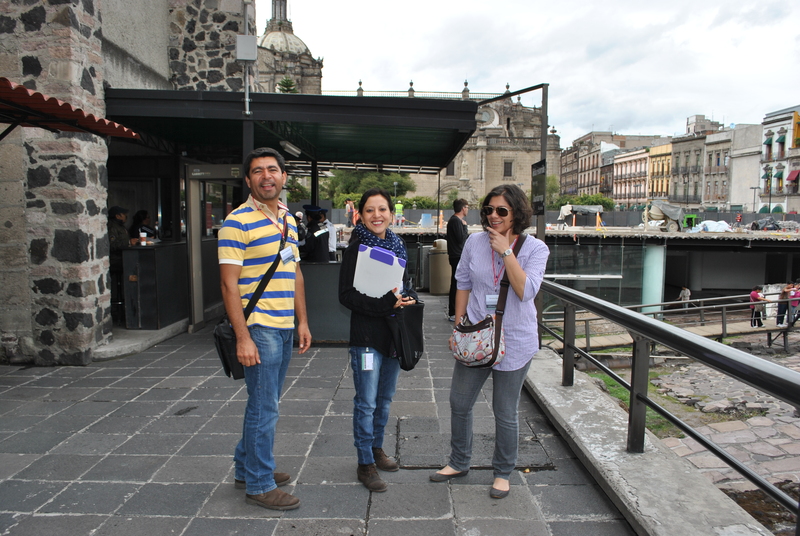 Previously she worked as the Sub-director of International Exhibitions at INAH´s National Museum Coordination. Her masters thesis was an analysis of INAH’s cultural policy on international exhibition exchanges. Dr Simon Mark, from the College of Creative Arts at Massey University. Previous roles include at the Ministry for Foreign Affairs and Trade in public diplomacy, and at the Ministry for Culture and Heritage managing the cultural diplomacy programme. His PhD from the University of Auckland explored the cultural diplomacy of Canada, New Zealand and India. Alice Meads, Master of Museum & Heritage Studies graduate, currently at Archives NZ. Alice conducted interviews with visitors to Te Papa’s Aztecs in Wellington, Melbourne and Sydney. Her masters dissertation was titled ‘Aztecs at Our Place: Meaning-making in an international touring exhibition’. You can download a copy of her dissertation as a pdf here. Former CEO of Te Papa, Michael Houlihan (by video link from the UK); Wen Powles, director of the Confucius Institute at VUW and former New Zealand Consul-General in Shanghai; Vivien Meek, Senior Policy Adviser at New Zealand’s Ministry for Culture and Heritage; Drs Anna Lawrenson and Chiara O’Reilly from the Museum and Heritage Studies program at the University of Sydney (by video link); Dr Huhana Smith, researcher, writer and artist; Jeff Fox, Manager Collections and Knowledge Assets, Te Manawa Museum of Art Science and History; Mark Kent, Touring Exhibitions Manager, Te Papa; Liz Hay, Business and Market Development Manager, Te Papa. contribute ideas for future initiatives aimed at enhancing these interconnections. Please register your interest by emailing museum-heritage@vuw.ac.nz. 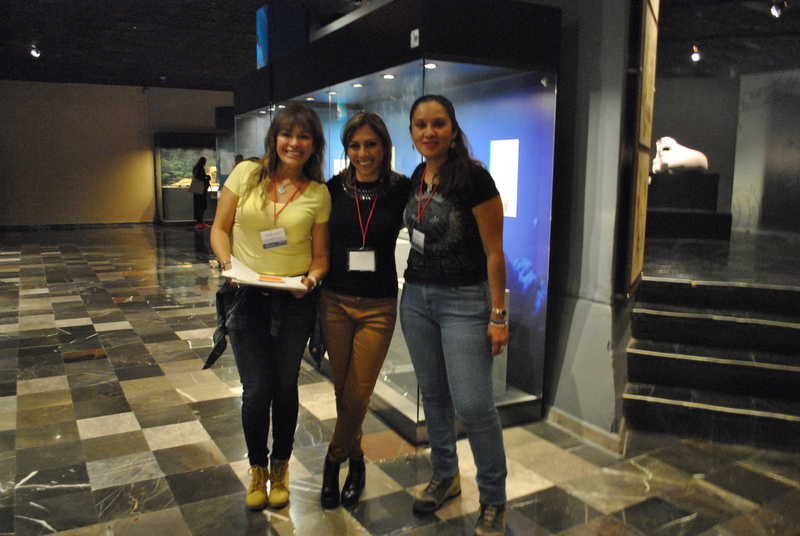 My colleague Lee Davidson is currently in Mexico City, she came to work together in our Project and to teach at the International Course on Visitor Studies that I organized at ENCRyM -the National School of Conservation, Restoration and Museography-. 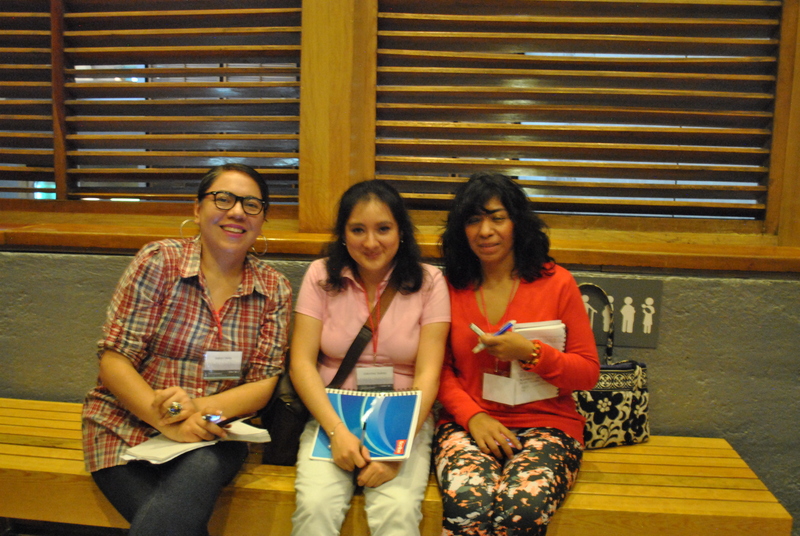 This course is attended by young mexican professionals who want to acquire new insights on visitor studies, training themselves on this field. Lee’s session, titled Understanding Visitor Experience Through Qualitative Research, had the purpose of “examine the key contributions qualitative research has made to current understandings of visitor experience from the perspective of both theory and practice”. The idea was that the students not only attended classroom sessions but they had the opportunity to experience the process of designing interview questions; apply it and analyze it, so we needed a small scale research problem. Due to our own research interest, we selected Templo Mayor Museums, as many interesting topics emerged on visitor interviews with New Zealand and Australian public that attended Aztecs: Conquest and Glory about human sacrifice and the links between Aztec culture and current Mexican culture. Aztecs: Conquest and Glory was developed by the Te Papa Tongarewa Museum of NZ , in close partnership with INAH and two Australian museums. Between 2013 and 2015, Aztecs was exhibited at Te Papa, Melbourne Museum, and the Australian Museum in Sydney. The Mexican and NZ curators wanted the exhibition to tell the complete story of the Mexica, including their everyday life and religious practices, from the rise of the Aztecs to the conquest, with a small section on the Aztec legacy in contemporary Mexico. The NZ curators particularly wanted to tell the story as much as possible from the worldview of the Mexica, including a ‘balanced’ and ‘non-judgemental’ portrayal of the nature and role of human sacrifice. We conducted qualitative interviews with 57 visitors to the exhibition in NZ and Australia to find out how people perceived Mexican history and culture in the light of this exhibition. The issue of human sacrifice was particularly fascinating and challenging for many visitors: to many it seemed very violent and brutal. Others tried to understand it in the context of history, religion and politics of the time, rather than judge it from a contemporary viewpoint. Visitors also had different views about what happened to the Aztecs after the conquest and what their relevance was to modern-day Mexico. These issues raised questions for us as researchers about how Aztec culture, human sacrifice and the contemporary relevance of Aztec culture was presented in museums in Mexico (if at all), and how these issues were perceived by Mexican museum visitors. From the perspective of visitors, how is the issue of human sacrifice interpreted within the museum? What are their feelings about it? What kinds of understanding do they have of this practice? The group was split in teams, each team designing their own interview questions related to the research. The day of the practice, the students worked in groups to try out the questions, make adjustments and obtain the interviews. Later, the teams transcribed and analyzed them to make a presentation on the last day of the course module. The experience was so good, it actually got us thinking about the didactic implications of teaching this methodologies in visitor studies area. The students commented that although complex, the process was made easier by having a research problem and questions ahead.